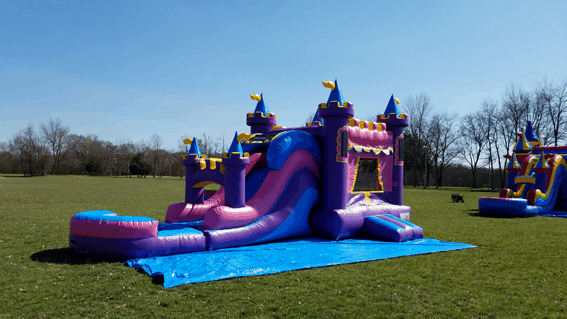 The Queen’s Palace Combo Bounce House is the newest addition to our Unique Inflatable Collection! This inflatable features a basketball hoop, slide, and jumping area. With eye popping looks and a unique design this bounce house will keep kids entertained for hours. This bounce house can be used wet or dry. Pool attachment is for wet use only.